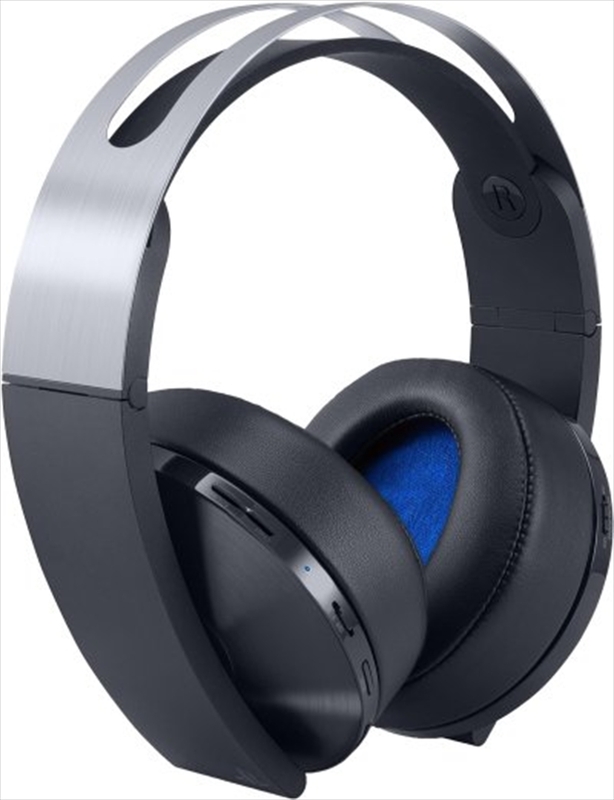 The Platinum wireless headset takes gaming audio to a whole new dimension, delivering rich highly-positional virtual surround sound in all PlayStation4 games. Gain a competitive edge, by pinpointing every move your enemy makes and become deeply immersed in multi-layered soundscapes, whether you're engaged in multiplayer combat or engrossed in a single player adventure. Powered by 3D Audio technology and premium 50mm drivers, experience incredibly crisp positional virtual surround sound in all PS4 games(1). Discover a truly amazing level of immersion as 3D audio delivers sound from up to 100+ virtual speakers, completely encircling you in the action. Hear noise emanating from every direction including above, below and behind you with precise object-based sound in compatible PS4 games (1). Discover how games are meant to sound with special audio modes designed by developers themselves to accompany their gaming creations. Enjoy bespoke arrangements for the latest titles via the Headset Companion App (2) for PS4. Hidden multi-position, noise-cancelling microphones provide crystal-clear chat (2), even when the headset is resting around your neck. These mics give you a competitive advantage by filtering out ambient noise and provide flexibility in how you wear the headset. Enjoy epic gaming sessions with the extended life built-in rechargeable battery. When you're finished, fold the headset and slip it into the included pouch for storage or travel.